Regardless of how you’re connected to Peabody, you know the benefits of a small community, such as riding a bike or walking around town, enjoying the local parks, and knowing business owners and your neighbors by name. You understand that smaller school district like ours offers more accessible teachers and greater opportunity to develop leadership skills. You may also be aware that small towns such as Peabody have a hard time meeting their financial needs. Forward-thinking citizens established Peabody Community Foundation (PCF) in 2000 to assist in providing resources for a broad range of existing and future charitable needs in our community. As of March 2019, PCF funds balances total over $862,767. Our competitive grant cycle has, in recent years, awarded $10,000 to programs and projects such as the Peabody Hearts for Hart Park playground fund, the Senior Citizens Center, emergency assistance through the food bank and Marion County FACT, and other institutions and programs that Peabody holds dear. 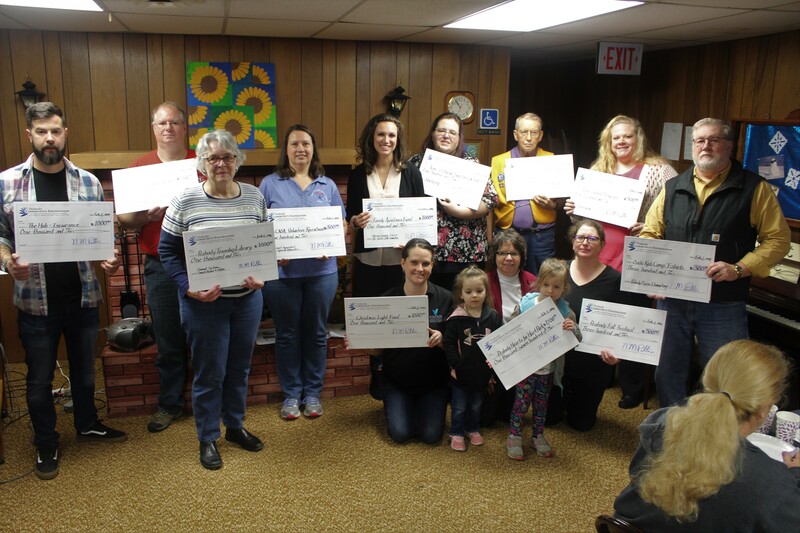 Several organizations in our community, such as the Township Library and Historical Society, have their own endowed funds with PCF from which annual disbursements are made at the discretion of the organization’s leadership. PCF also holds five scholarship funds. Whether you are a citizen, a friend, or a high school alum who benefited from living in Peabody and carried those values elsewhere, consider supporting Peabody Community Foundation. I believe that the world needs more people who grew up in small towns. Use the following link to view the Foundation’s online fund catalog and make a donation. CKCF encourages grant recipients to share the Peabody Community Foundation logo on any public event materials. This logo can be used on your organization’s website, social media accounts or event printed materials. Download a JPG image of the logo below.